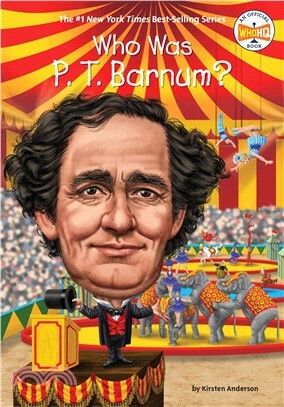 Ladies and Gentlemen, children of all ages, step right up for Who HQ's entertaining biography of P. T. Barnum: politician, businessman, and The Greatest Showman on Earth! Kirsten Anderson is a writer and actress who lives in New York City with her charming Pomeranian, Sunflower. She has written several biographies for children, including Who Was Andy Warhol? and Who Was Robert Ripley?